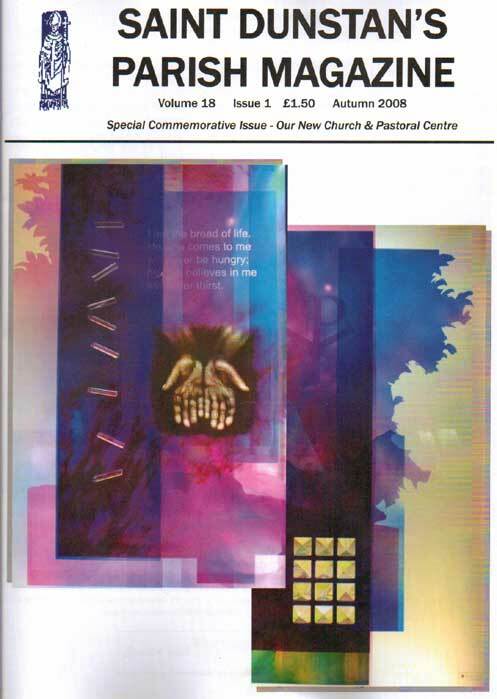 It really made my day when Saint Dunstan’s Parish Magazine put my new window on their front cover. I’ve never had front cover billing before… and it might never happen again! But I’m thrilled they wanted to show the window off to best effect. This entry was posted in general, publications. Bookmark the permalink.